Ganondorf’s ears sure look strange when he looks straight at you. By Sir. Banjo, Kazooie and Mumbo playing poker, by SpongicX. Dr. Kiln from Clayfighter 63 1/3, by The Man of Tomorrow. The classic 1996 Super Mario 64 picture by Soffie. The Shy Guy Says minigame From Mario Party 2 on the Nintendo 64, by GR3N1NJ4-L0RD. 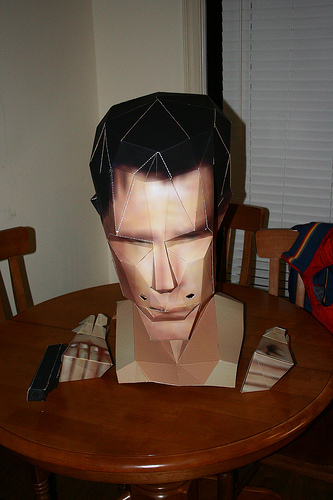 A cardboard Goldeneye cosplay head and hands. By Unknown. German developer Golden Mushroom Studio announced that they were going to make the long-lost Glover 2 into a reality on the Nintendo Switch. Josette from Wonder Project J2, by SimplyNTK. I keep on hearing how the Nintendo 64 controller allows the player to have 360 degrees of control during gameplay. How true is this really? Glover balancing on his ball, by Wyatt. I added a new page about the MIPSE executables and rearranged some of the pages on the SDK. Now this new page and the X2C software should lie under the same heading. 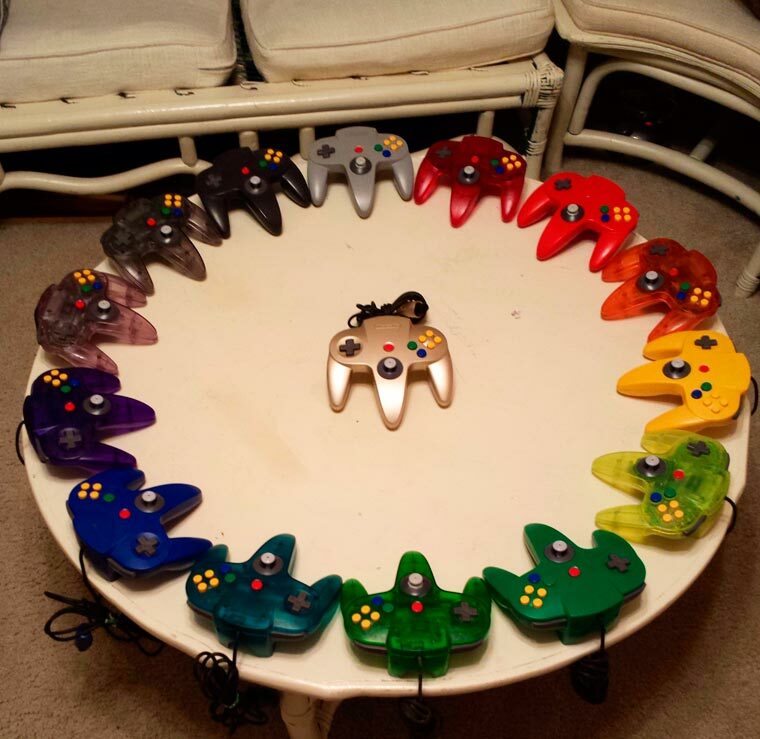 A rainbow of N64 controllers on a round table, by an unknown photographer. I’ve updated the N64 development hardware page. It now has information on the Gang Writer, SN Systems kit, and added some references for them. I also fixed up the formatting on the page; the website redesign had it all out of whack and I didn’t update it since. The N64 Rocket Launch Controller is a controller mod that allows the A and Z buttons to be used to ignite and launch a rocket into the air. For 20 years, there has been a Nintendo 64 game called 40 Winks that never saw the light of day. With the help of the 40 Winks Kickstarter, we can make it happen. There is a mod that allows you to play as Super Mario 64 in Banjo Kazooie. Explore the levels in a whole new light thanks to this mod by Waschpenner and Shyguyhex. Here’s the chance to finally get Mario characters to shoot each other in the head now that the mod for 007 Goldeneye with Mario Characters is ready to play.